Diane is pleased to offer a 30 minute complimentary phone consultation for Divorce Angels users. Divorce is one of the most stressful times in anyone’s life. Diane Horsman of Bold Consulting is here to help reduce the anxiety that comes with not knowing what is to come or where to start. Her first step is to offer you coaching, guidance, information and tools to assist through the beginning of this challenging process. She works with you to explore your situation in detail, design and discuss strategies on next steps and help you determine where to begin and how best to proceed with a separation. Diane's goal is to outline a strategy and critical path together to negotiate a settlement efficiently and keep your costs down. There can be enormous costs paid in to the legal system and Diane reduces the financial burden by offering you understanding of the pieces involved and only consult the right professionals at the right time. She understands what questions to ask, how do deal with high conflict, what to expect throughout your negotiation and guide you every step of the way. Diane believes a clear strategy and purposeful execution equals success. 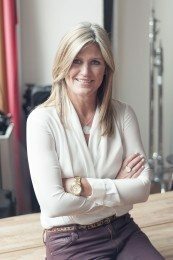 She focuses on action and positive results through knowledge and critical thinking to help you develop and understand the pieces involved in a separation negotiation before you retain professionals.She then helps you manage those pieces and any professional parties involved to reduce your costs and ensure a forward moving negotiation. While she focuses on your position, she assists you in determining the gap in both positions and work on how to bridge that gap to come to an agreement. Separation and divorce is an emotional, stressful and devastating time for everyone involved. Diane will help reduce the stress, costs paid in to the legal system and help minimize the triggers that cause anxiety and uncertainty. Diane understands ending a marriage is not just about finances and the legal implications. It is a combination of understanding the process and how to execute it effectively, compromise and self care. Diane not only is a divorced mother with two teenage girls, she is a seasoned business owner with strong negotiation skills as well as having her certifcate in Alternative Dispute Resolution from York University, training certificates from Riverdale Mediation and the Ontario Association for Family Mediation. With Diane's personal experience and business background coupled with her education, she offers both an empathetic and strategic approach. She will outline tools on how to cope, offer you clear insights on what to expect as well as design a critical path to move you towards a settlement agreement as quickly as possible. Diane not only specializes in high conflict she will guide you every step of the way on where to start and how to negotiate a settlement agreement as swiftly as possible. Bold Consulting fosters empowerment, focus and direction throughout your negotiation. Diane has been called a guiding light, a trusted navigator and a very passoinate supporter to anyone going through this emotional and challenging process.